Why Aren't Cities Littered With Dead Pigeons? A wildlife expert and Smithsonian scientist help solve one of life's enduring urban mysteries. Any fair-sized city in the United States is lousy with pigeons, hoovering up bread crumbs from public squares and head-bobbing so much they look like little Jay Zs groovin' to some fresh beats. The favorite rumpus room of the pigeon, New York City, is thought to contain anywhere between 1 and 7 million of the flapping rats of the sky. So where are all the dead ones? The short answer is in Pigeon Heaven (unless they've been bad birds, in which case they're squawking in boiling pitch in Pigeon Hell). The long answer is that the life of a pigeon is brutal and short, and if they do make it to the end zone without something terribly unpleasant happening they tend to want to die away from all the cameras. In the interest of clearing up this enduring urban mystery, I contacted a couple of bird experts to expand on the ultimate fate of Columba livia. The first is David Seerveld, a licensed wildlife-control specialist (not exterminator! That's for bug guys) in Orlando, Florida. In the course of his work, Seerveld has dealt with a full deck of frightened and sometimes frightening animals, including scads of pigeons that have slipped past our defenses to penetrate the human domain. A pigeon that leads a pampered life might make it to age 15 before croaking. But most rarely live that long – five years in the wild is typical. America's cities are patrolled by an invisible battalion of predators, all of whom seem to enjoy a meal of fat pigeon breast with a side of filoplumes. “Even with a huge level development like in Washington, D.C. or Chicago, these cities still have plenty of trees,” says Seerveld. Red-Tailed and Cooper's Hawks: These stocky killers know that fat city pigeons have the juiciest meat. So they roost all throughout the states in trees, on roofs and atop telephone poles, waiting to take the birds “on the wing,” as Seerveld puts it. “In Orlando where I live, it's unbelievable,” he says. “They pick off pigeons like they're one of their favorite food items.” The wildlife expert recalls one time when an Aeropostale employee called him because a hawk was stalking a pigeon INSIDE the clothing store. “A pigeon flew in and a hawk chased it right through the door,” he says. “I caught it with a net and brought it outside and let it go.” Here is that hungry, hungry hawk. And this is a grim video of a hawk chewing on a pigeon while the poor thing is still alive. Nature: It ain't pretty! Falcons: “I know Chicago is loaded, for example, with peregrine falcons,” says Seerveld. At one point there was even a falcon called a Pigeon Hawk (today it's deemed a Merlin), which snatches its prey to lug back home for empty-bellied, shrieking nestlings. Owls: They “absolutely” savor pigeon meat, Seerveld says. But they also operate at night, explaining why we so rarely see an owl rip into a pigeon. Here's evidence, though. Nah, that looks too big to be a pigeon, try this one. Humans: At one time between 3 to 5 billion Passenger Pigeons lived in the United States. We took care of them, in part by feeding the critters to our slaves. When you think about it, why don't you see carcasses more often of most small (sparrow) to medium-sized (pigeon) birds? The answer is that most are cryptically colored (blends in to the background) and that decay processes and scavengers clean them up quickly. In Atlanta, from April through October, blowflies and ants can reduce a dead sparrow to a pile of loose feathers in a few days. 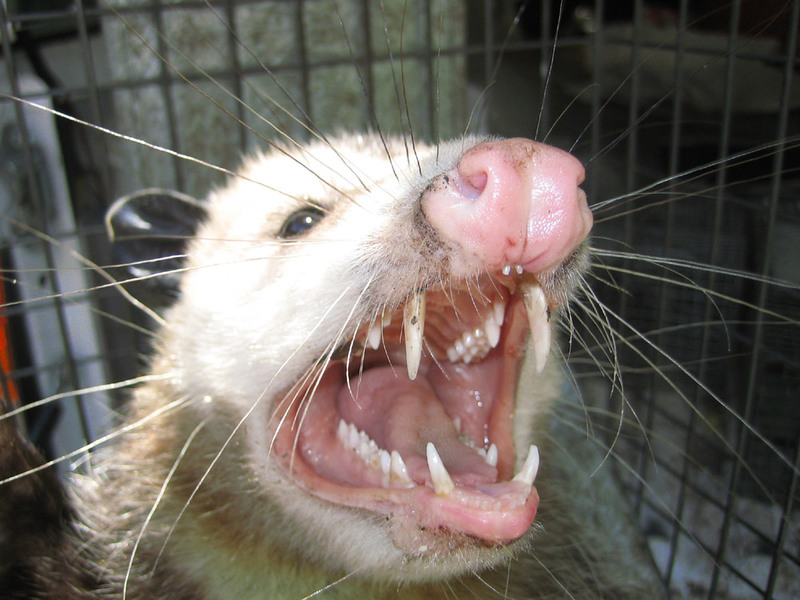 In winter, opossums, raccoons, rats, cats, dogs, skunks, foxes, coyotes, crows, and Turkey Vultures clean up the dead. These same scavengers operate in the warmer months too, but blowflies often beat them to the punch.... Yes, the world would be a lot smellier without nature's cleanup squad (including the smallest and most important decomposers----bacteria and fungi)! So what of the pigeons lucky enough to evade the gnashing teeth and beaks of their foe? Well, ice storms beat and freeze them to death. They run out of food and starve. Diseases, like West Nile virus, contribute to many fatalities. But for those that make it, they tend to want to die peaceably in out-of-the-way places like ducts and building ledges, which perhaps unconsciously remind them of their ancestral lairs in the caves and cliffsides of Europe, the Middle East and north Africa. When pigeons feel the cold caress of the Grim Reaper, they retreat to attics and ventilation shafts or settle behind metal beams and the signs of businesses. Also popular are abandoned buildings and garages, and Graves says that every “old warehouse with broken windows has its share of dead pigeon remains.” Pigeons tend to die solitarily, but occasionally they will clump up, forming depressing mounds of scattered bone and feathers. Photo above of dead pigeons in that Orlando school's roof courtesy of David Seerveld. Top image by Andrey Smirnov/Shutterstock.com. Sickos can find more dead pigeon photos on Flickr.